If I were going to be forced out of office, I think I would like it to happen in the same way as it has for Amy Ryan, who until a few days ago was the president of the Boston Public Library. First of all, she was vindicated right after resigning. Secondly, she was staunchly defended by world-class authors. Ryan, of course, was essentially forced out of office when Boston’s mayor, Marty Walsh, reacted in what can only be called a hysterical way to the news that two pieces of art were missing. 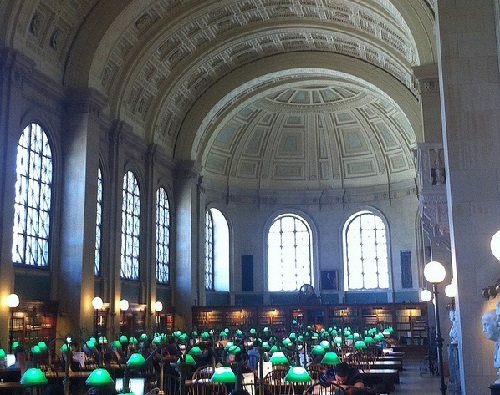 Let’s keep in mind that the BPL has a total of 23 million items to keep track of. The artwork—a 1634 Rembrandt etching valued at up to $30,000 and a 1504 Albrecht Dürer engraving valued at $600,000—was misfiled, but eventually located by library employees in the very room where they were supposed to be. “It’s a cloud lifted,” Ms. Ryan, 64, said at the time.